The Cocktail grapefruit's name suggests two characteristics of the fruit. 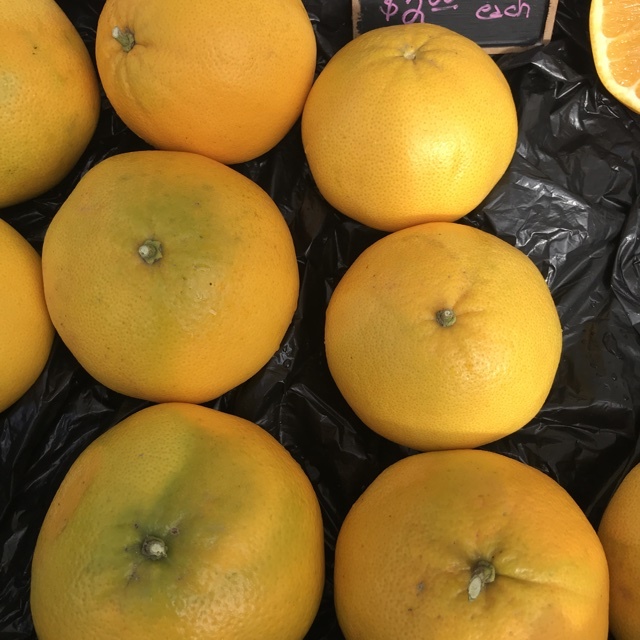 It is about half the size in proportion to the average grapefruit. 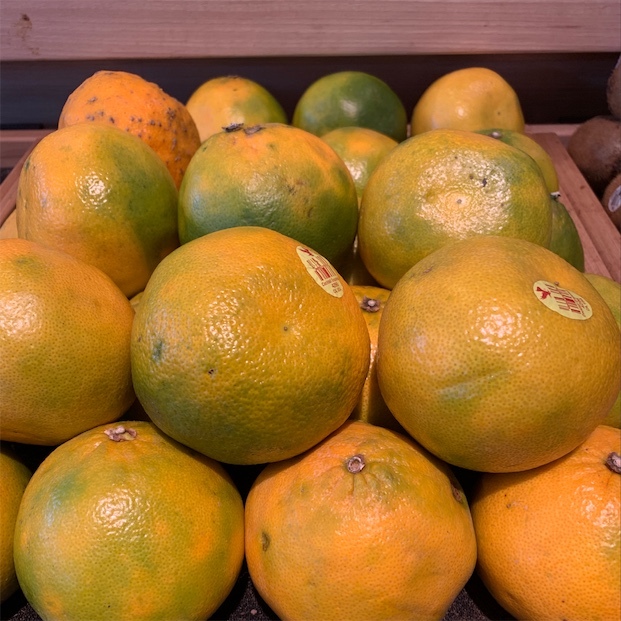 Regardless of its petite size, it is a premium juicing grapefruit, making it ideal for beverages and cocktails. 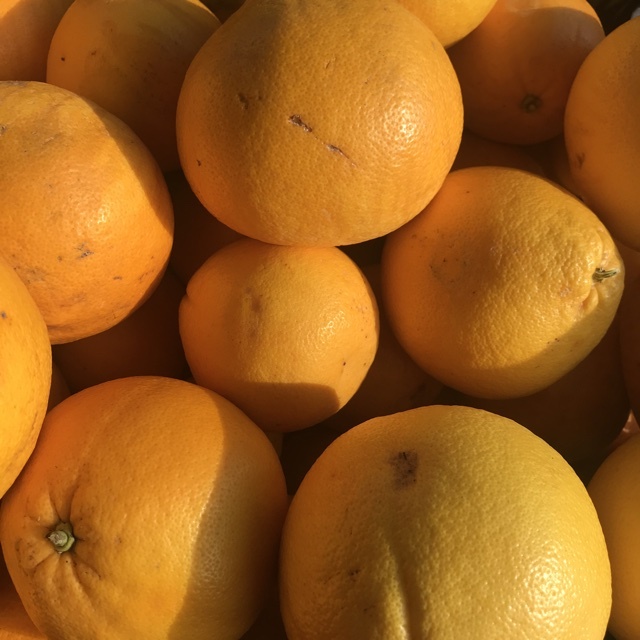 The Cocktail grapefruit has a thin deep yellow peel with a segmented, brightly fragrant, extremely succulent and heavily seeded yellow flesh. 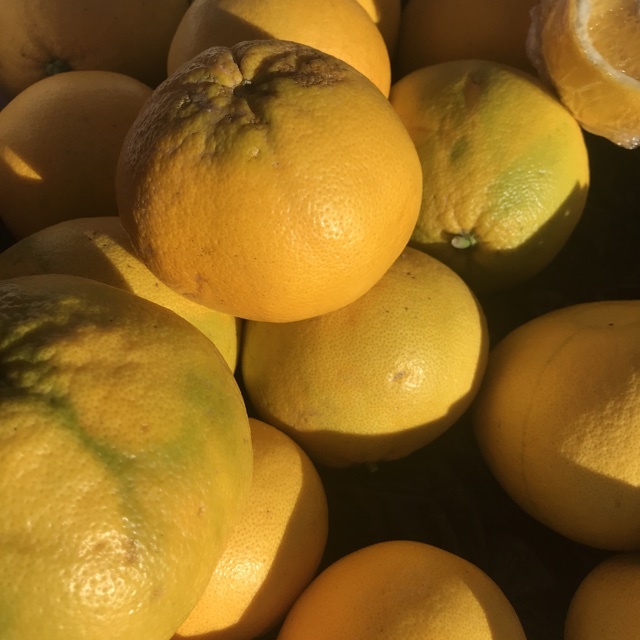 Though the seeds may seem a deterrent for fresh eating, the Cocktail grapefruit's sweeter parentage gives it unparalleled sub-acid flavors of sweetness. Cocktail grapefruits are available during the winter months. The Cocktail grapefruit, officially known as a Mandelo, was developed in the 1950's. 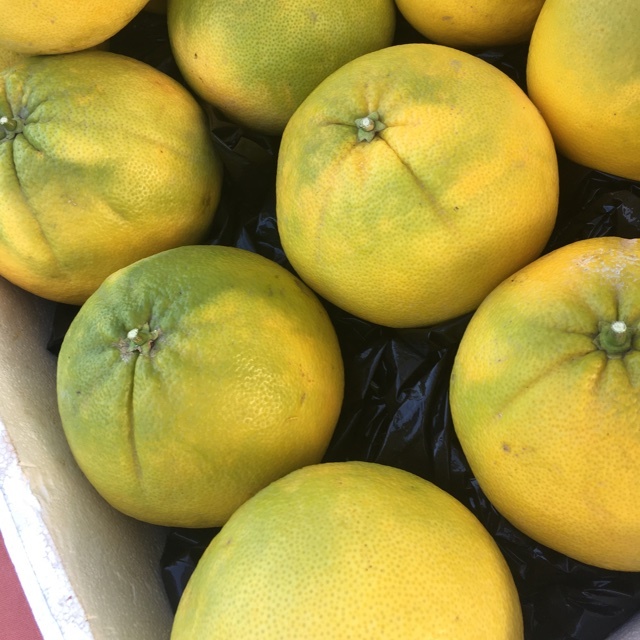 It is a pedigree of the Siamese Sweet pummelo and Frua mandarin (tangerine variety) C. reticulata 'Frua' x C. maxima 'Siamese Acidless'. As it was never officially allowed for release, the hybrid is assumed to have escaped (with assistance) into public domain from the University of California Riverside. 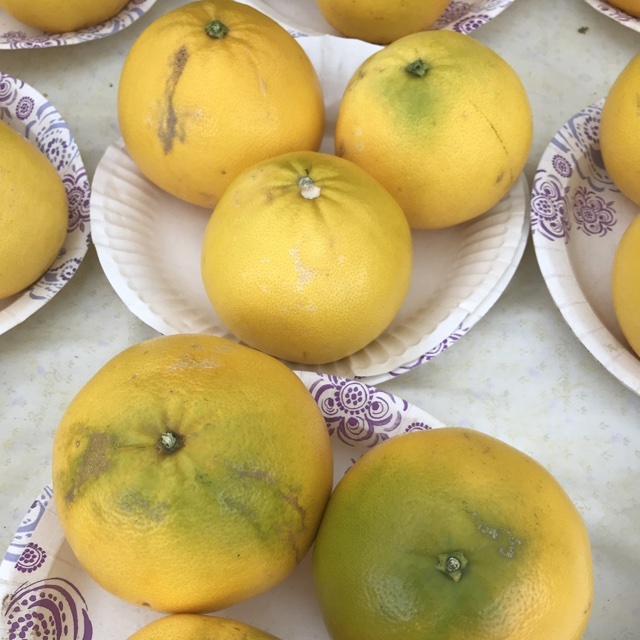 Unlike most citrus varieties, the cocktail grapefruit does not require grafting, rather a tree can be produced from one single seed. 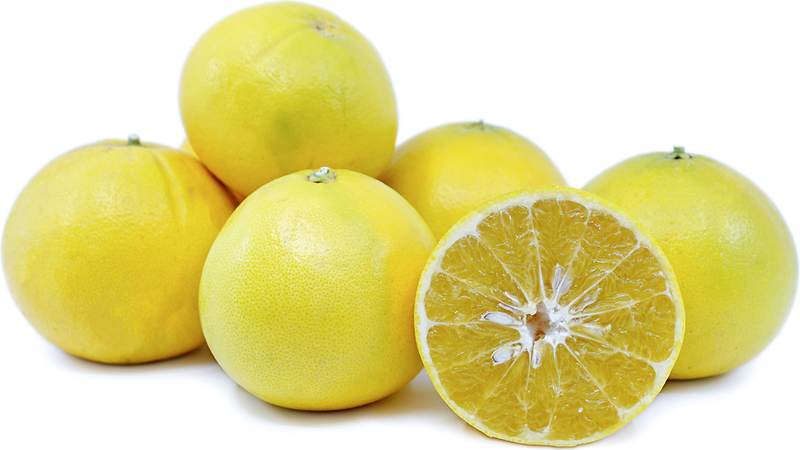 Cocktail grapefruit are ideal for juicing as they are seedy and lack the characteristic, thick grapefruit peel. Use the juice in cocktails, smoothies, syrups, jams, sauces or frozen desserts. Pair Cocktail grapefruit with citrus, fresh herbs, strong cheeses, bitter greens, potatoes, seafood and peppers. Use in combination with honey, vanilla, lavender, wines and dry spices. Store Cocktail grapefruit at room temperature for up to a week, then move to cold storage for a longer duration. Cocktail grapefruit trees are large and vigorous growers, providing ample amounts of fruit that sustain their livelihood on the tree for long periods of time before perishing.  The fruit thrives in subtropical climates such as the Caribbean and within the valleys of dryer climates of the Western United States and Mexico. 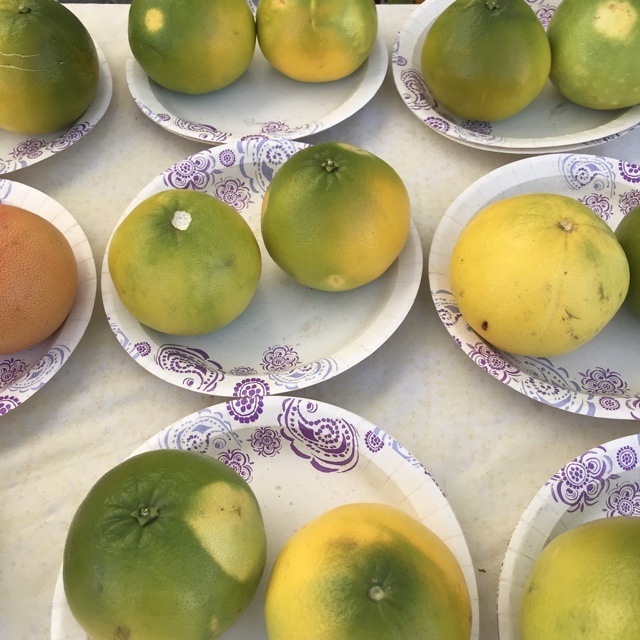 Though grapefruit trees can withstand a variety of soil conditions, growing regions can determine and vary the fruits' length of time from flowering to maturity and its acidity level. 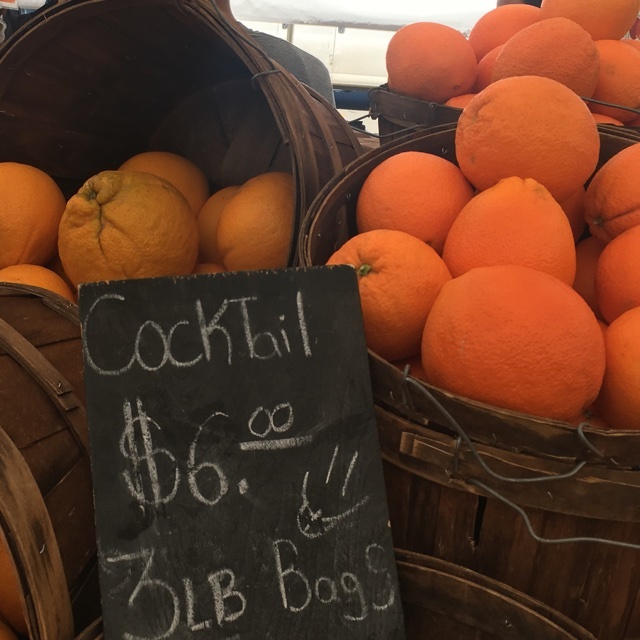 People have shared Cocktail Grapefruit using the Specialty Produce app for iPhone and Android. 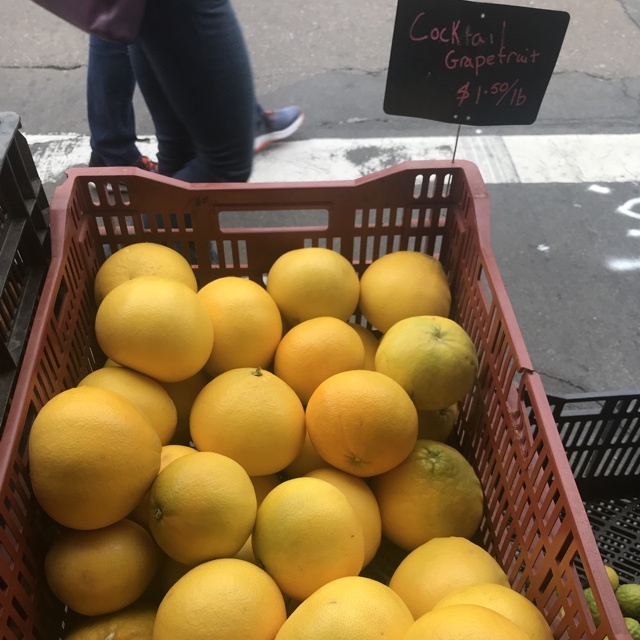 Sharer's comments : Cocktail Grapefruit spotted at Little Italy Mercato. 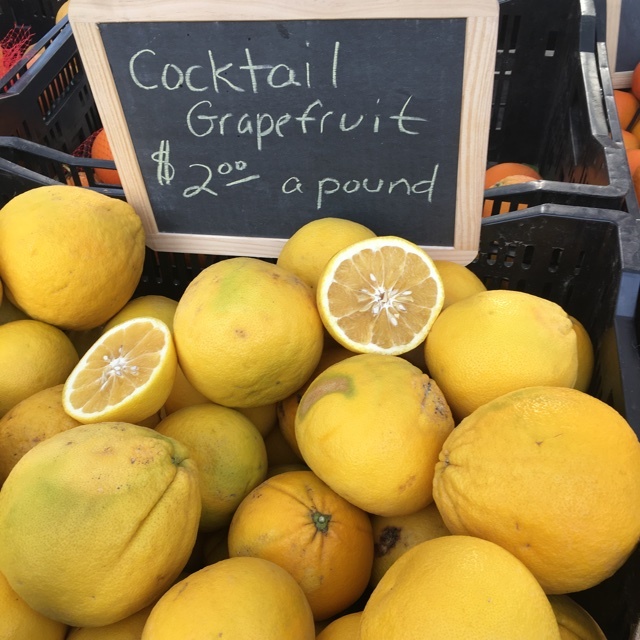 Sharer's comments : Cocktail Grapefruit spotted at Brentwood Farmers' Market. First time seeing these in the market. 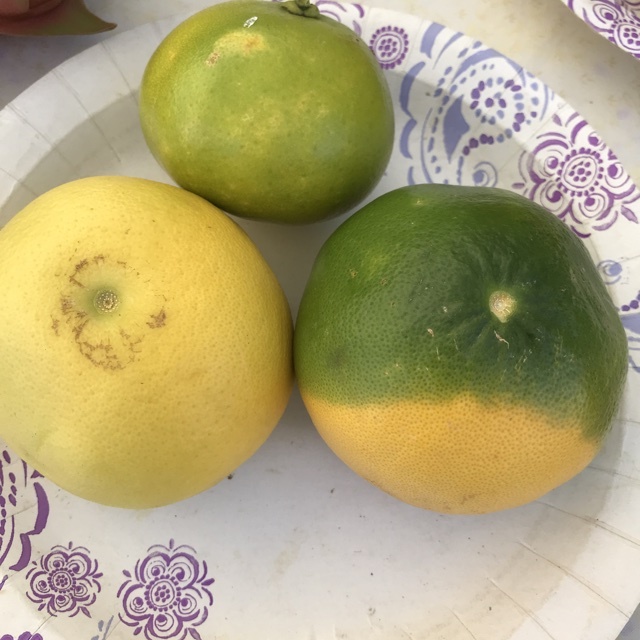 Sharer's comments : Cocktail Grapefruit spotted at Vista Farmers Market. 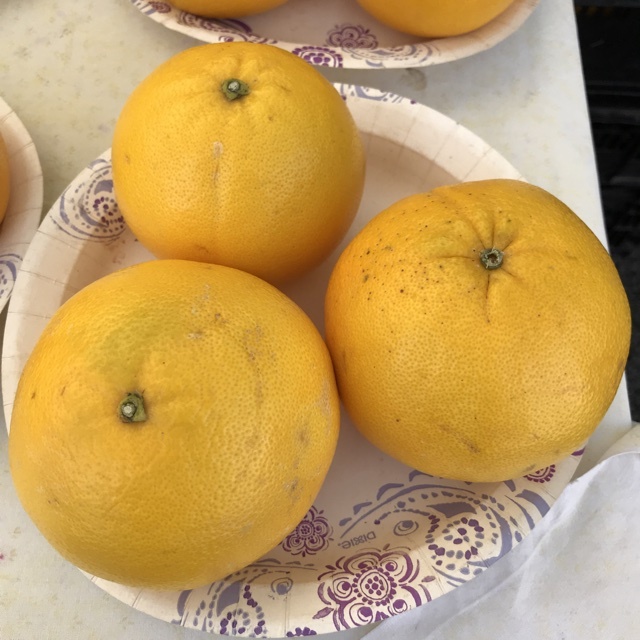 Sharer's comments : Cocktail Grapefruit spotted at Del Mar Farmers Market. 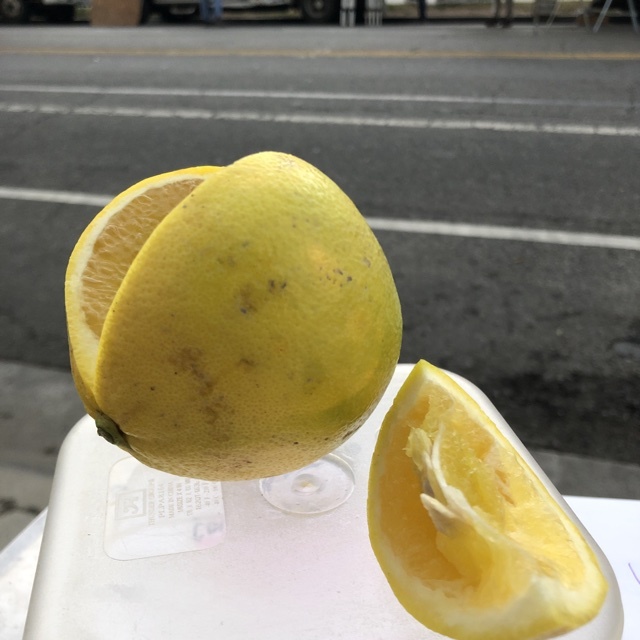 Sharer's comments : Cocktail Grapefruit spotted at Santa Monica Farmers Market.